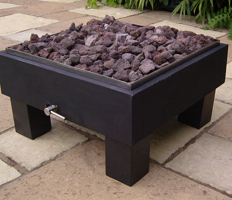 This highly portable model incorporating our square (LPG model) BrightStar Burner™ is housed in its own black powder coated metal FirePit surround. 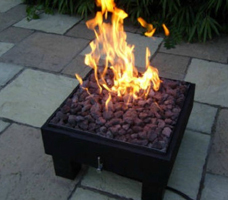 This allows you to store the burner easily away in the garage or shed when it is not being used, then place it back in your garden wherever you want some heat. 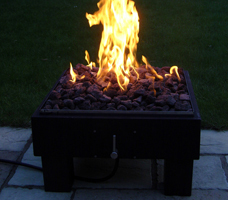 Included are lava rock to cover the burner, a 4m hose and clips ready to connect to your gas bottle regulator.